It’s been an interesting week… Last Tuesday it started snowing and it just didn’t stop. By Wednesday afternoon we were well and truly snowed in and by Thursday morning we were all going just a little insane. I spent an entire afternoon introducing Bee to Taylor Swift’s back catalogue. That’s how bad it got. The house we’re staying in until ours is finished is in the middle of a golf course and the road down is half private and half public, which basically means nobody needs to take responsibility for clearing it. It was completely impassable. Every time we needed anything, even just to take the rubbish out, I would don my winter gear, strap into my snowshoes and head out on a 30 minute round-trip to civilisation. Of course, there was a part of me that absolutely loved it and I felt like a real wild man, until of course I remembered that all I was doing was taking the plastic recycling out. Now, with the sun back, the road clear, the powder in the mountains all tracked out (sorry, it was a goooooood day though!) 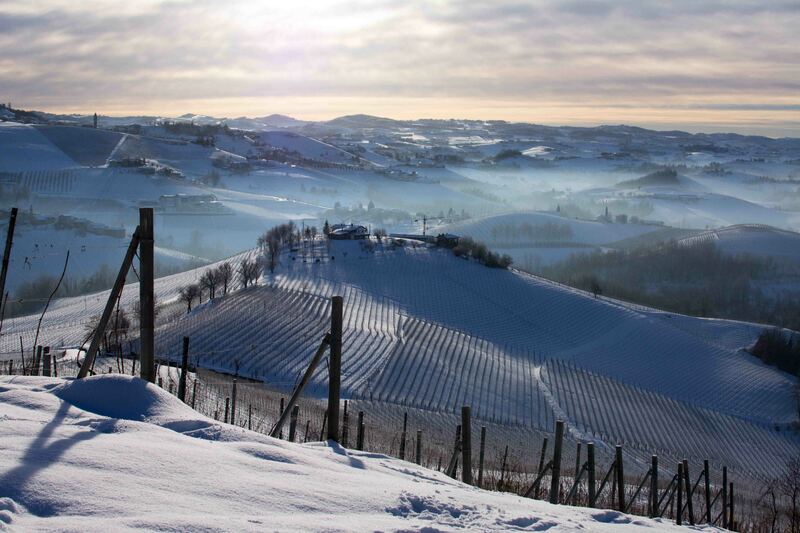 and half a metre of snow still on the ground here in the Langhe, everything just looks ridiculously beautiful. It’s a photographer’s dream. Honestly, if you’re anywhere close to Piemonte right now and you fancy a couple of days away now is the perfect time for a trip to the Langhe. There are no tourists around and the views are just ridiculous. Despite the snow, the works at the house are still coming on really well. Everything is plastered, the electricians have run their first wires, a shiny new Austrian pellet boiler is being connected up and the underfloor heating is starting to go down this week. We can finally see how everything will look; the size and shapes of the rooms, and how the wood works with the walls and the old brick pillars. It’s actually starting to look like a house, and a very nice house too, if I do say so myself! Finally, it appears we’ve been nominated for an Italy Magazine Blog Award (just to be clear, when I say finally, I mean lastly, not as in we’ve finally been nominated!). It’s a great honour and I’m up against some stiff competition. I’d really rather not come last so if you wouldn’t mind clicking HERE and voting for us I would really appreciate it. It only takes a second to do and every vote counts. I think you can vote as many times as you like, so don’t be shy! Thank you! Honestly though, it’s hard to go too far wrong around here at the moment. Everything just looks so good!! If I remember correctly, the last time we came over to sample the wine you were up to your neck in snow. Do you ever get sunshine in your part of Italy?? Thanks PN. Maybe Mrs Sensible can come to the gala dinner (there is a gala dinner, right?) as my date. I’m shocked you didn’t get nominated, what with you writing the best blog in all of Italy!! I am sure there must be a gala dinner, regarding your invite to Mrs S, does your better half read your comments? 😉 My little blog of madness, doesn’t always show Italy in it’s best light and of course my spelling mistakes and creative use of grammar probably didn’t help. Get the snowplough out and lets have a glass of wine together. We’re free now (as in, we can actually get out of the house) so I’ll send you a message about that glass of wine! Fully deserved! Someone seems to think that where you are you do not experience sunny days! Thanks Bimbo, really appreciate the vote! And we get loads of sunny days here, as you know. Wow the boiler is going in?! Can wait to see the size of it after seeing how big the room is- hope you’ll put pictures up! Thank you!! I’ll gladly send you some snow, we have plenty to go around! I guess getting a bit less snow is the downside of living somewhere so great… the beaches outweigh the snow though, if you ask me! Thank you for voting! I don’t have a hope of winning, but I just didn’t want to be the one who only got votes from his parents! I think they were the first people to vote, no need to worry about that! Those photos of the rows of vines in the snow are achingly beautiful. What an amazing place to live! Thank you, I’m glad you like them! 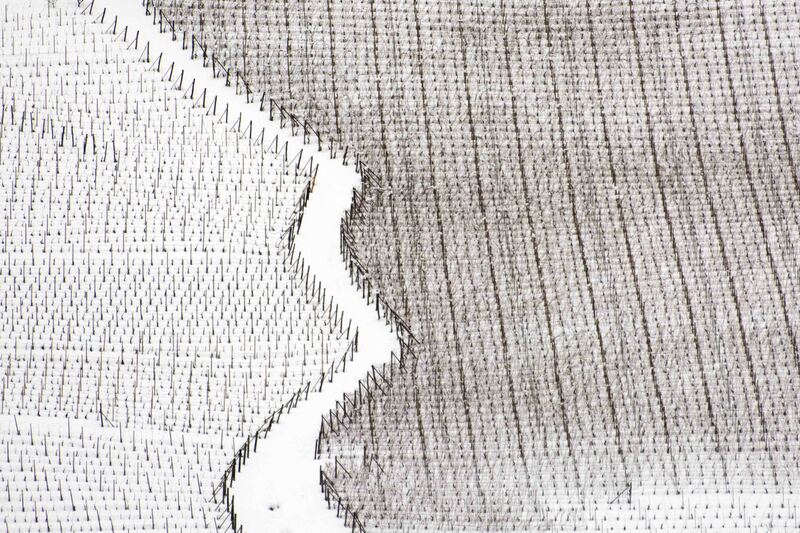 The snow really emphasises the patterns and lines… stuff you perhaps wouldn’t usually notice suddenly stands out. It’s beautiful! The house is coming on in leaps and bounds now – how exciting! 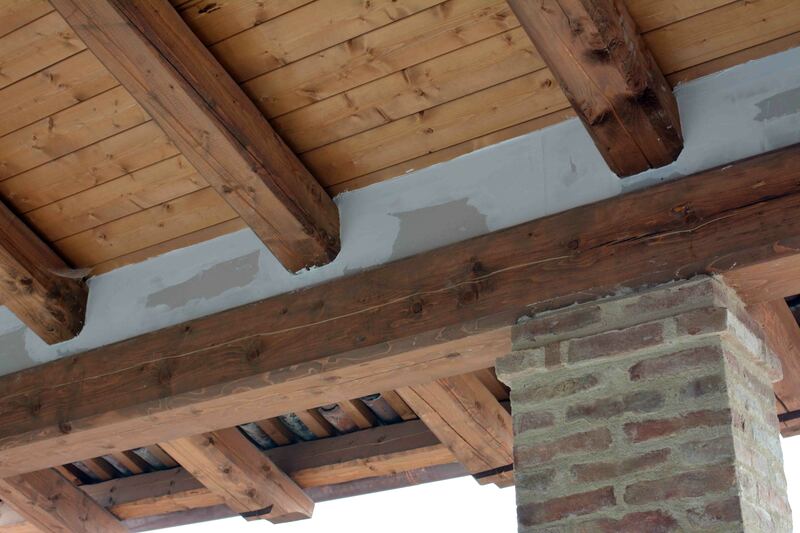 Do Italian builders give delivery dates, or are they like their French counterparts? Yeah, we’ve been sledging a few times now with Bee and most of the time she seems pretty non-plussed. I think we may have bred an adrenaline junkie and sledging just isn’t fast enough for her! Ha! I liked the post just from the title alone! Now I know where all the snow actually went – però! Thanks Diana! I’m glad you got some snow too, I hope you got some good photos! 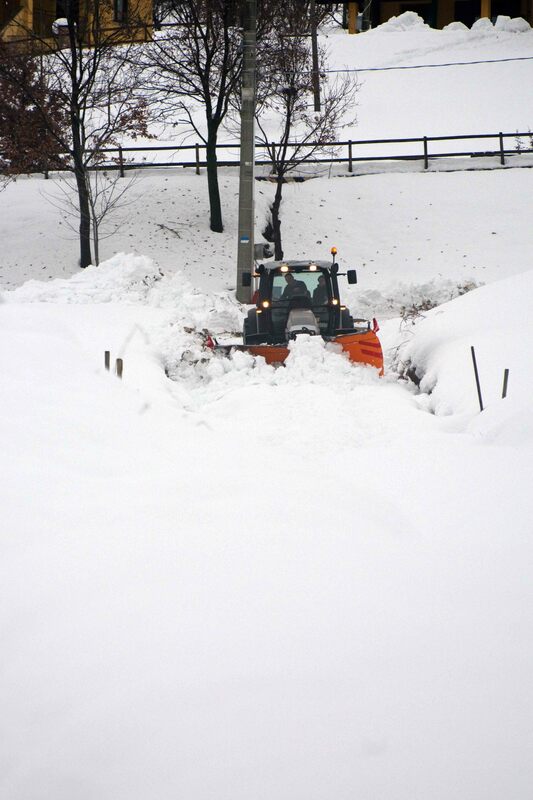 Lovely photos of the snow, I can remember many years ago when our children were young driving from Turin Airport to Murazzano in thick snow and having to follow a snow plough up to the village, been snowed in there many times since! Think we will wait until Easter before we come back. No snow here in Jersey, cold though but sunny. Good luck with your nomination, have voted. Thanks Maureen, probably very wise. I imagine you probably get a bit more snow at Murazzano than we get here. In fact, there will probably still be some on the ground at Easter!! Thank you for voting! Could be a scene from the wall re:game of thrones! Lovely!